CERTIFIED PRE-OWNED VEHICLE. FREE 3 MONTH UNLIMITED MILE WARRANTY included at this price. 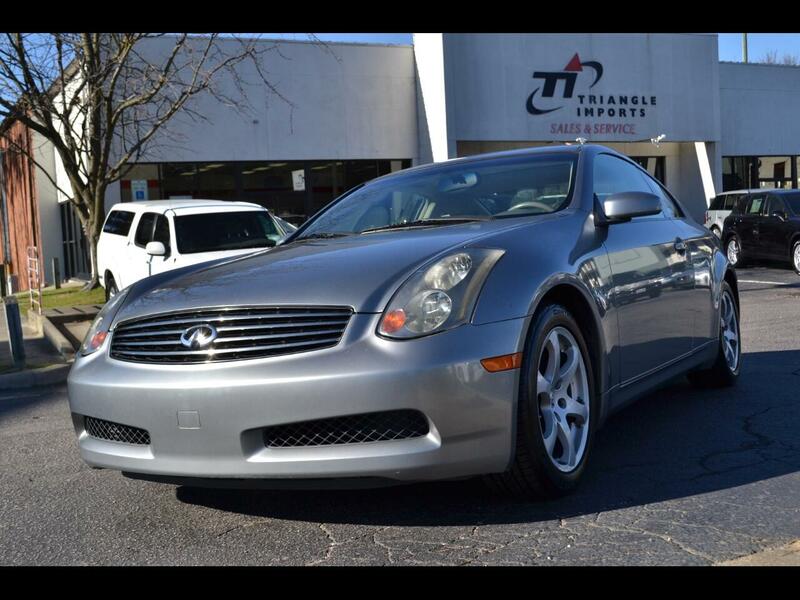 This great looking G35 Coupe is a One Owner from Raleigh with good Service History. Just serviced- including all new plugs and coils. Message: Thought you might be interested in this 2004 Infiniti G35.